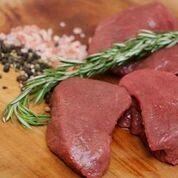 Duncan Venison has reported a surge in demand from consumers and professional chefs in the lead up to spring and summer, indicating that Kiwis are recognising the health and taste benefits, are starting to see it as a year-round option, and are also becoming more adventurous with how they cook it. The company is selling considerable quantities of venison to restaurants and home cooks per week, with no sign of sales slowing down as the warmer weather approaches. This includes the bistro fillet from Pamu Farms, a tender, pan ready cut that was developed earlier this year, and is now on the menu at restaurants such as The Sugar Club, Sails Restaurants, The French Café, Paris Butter, and Clooney. 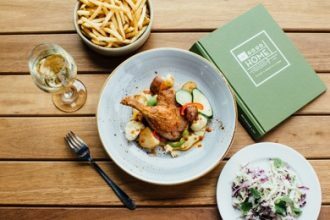 Since its launch in July, sales of Bistro Fillet have exceeded budgeted volumes by over 50 percent, with a number of restaurants still to change over to their spring menu. “Chefs are realising that it actually has a very delicate taste, and doesn’t require much effort in the kitchen. They are also starting to understand that it’s a nutritious, sustainable meat that is grown and available all year round,” said Vinnie Duncan, co-owner of Duncan Venison. The Onehunga Carnegie Free Library has been given a makeover, with flash new gastro pub Good Home opening its doors on the historic premises….